» aerial/fly-in – aircraft, balloon, helicopter etc. » other – migration, family, river, accessible, etc. of all types. It is also the category page for classic, guided, and mostly motor-driven, lodge based safaris in Africa and similar wildlife trips in other parts of the world. We also have ideas for DIY trips as well as special offers, discounts and deals, reviews, articles and travel tips. Africa at affordable prices. Operating ten overland trucks in East and Southern Africa and offering a wide range of wildlife and safari trips in South Africa, Tanzania, Kenya, Rwanda, Uganda, Zimbabwe and Zambia. 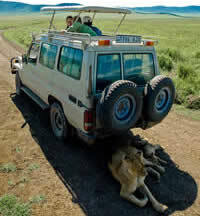 With a focus on quality, value for money African safaris for individuals, families and groups. 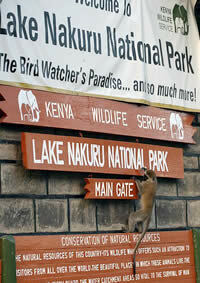 Small group safaris packages, guided camping safaris, self-drive safaris and tailor-made trips. Areas covered include: Namibia, Okavango Delta, Victoria Falls, South Africa and Uganda. Drive Botswana offers self-drive safaris in Botswana and Southern Africa. Comprehensive safari itineraries include meet and greet at the airport, 4x4 hire, all accommodation, game reserve entrance fees, personal guidebook and maps. Unique and authentic global adventure travel for those willing to go beyond conventional tourism. Wide range of trips for animal/nature lovers: game and wildlife viewing, safaris, Galapagos, Antarctica, rainforests, cloudforests, volcanoes, hot springs, bird watching and river journeys. Ethical, sustainable tourism at its best. Geologically themed holidays, Worldwide and also in Wales and other parts of the UK; aimed at all levels from enthusiasts to experts – whether you want to have the dramatic scenery explained, discover fossils, visit volcanoes or the polar regions. Also expedition cruises and Northern Lights and Wildlife focused trips. An independent, family-run tour operator providing quality, private and bespoke holidays in Latin America; tailor-made trips visit Argentina, Brazil, Chile, Costa Rica, Ecuador, Galapagos Islands and Peru. Trips are created from the ground up, with fully customised itineraries to match specific interests; their website shows examples of popular routes for inspiration. This very unusual itinerary combines Himalayan culture with wildlife watching, and visits to two ancient kingdoms, Nepal and Bhutan. Guests will experience multiple Himalayan ecosystems and exceptional birdwatching and wildlife viewing. They will be able to explore the Bardia National Park and the jungle wildlife reserve at Chitwan National Park in Nepal, and the Motithang Takin Reserve in Bhutan. They will experience the Buddhist and Hindu heritage of each country, visiting architectural and religious sites such as the well known Taktsang Palphug Monastery (Tiger's Nest) in Bhutan. National Park or Private Game Reserve safari? Safaris in Africa take place in both National Parks/Reserves and in Private Game Reserves; both are used by tour operators offering packaged safari holidays, so it's worth knowing the difference before you book. This short article examines the differences. In most cases Africa's National Parks and Reserves in are managed by governments or local councils, who are responsible for roads, poaching control and security. National Parks (such as the Serengeti in Tanzania or the Kruger in South Africa) often offer the best game viewing; but the parks generally don't restrict visitor numbers, so they can be much busier than a private reserve, particularly at peak times such as migrations. Anyone can drive in a National Park so they are the main choice for self-drive safaris, but vehicles are normally restricted to the official roads, so there'll be no off-road excursions in search of a particularly elusive animal. National Parks also operate at fixed times and will usually close at night, meaning safari drives to spot nocturnal species are not possible. On the plus side, National Parks and Reserves will generally be less expensive and will offer cheaper (but also less luxurious) accommodation. As the name suggests, a private game reserve will be privately owned and will be on private land; frequently bordering the National Parks. A major difference is that private reserves will be restricted to the guests of the reserve, so the whole experience is likely to be quieter and more exclusive. In general a private reserve will offer superior (and more expensive) accommodation and service, and can include facilities such as: spas, plunge pools and jacuzzis, swimming pools, air conditioning, fine dining and special game viewing decks. Some also offer luxury camping options. In terms of viewing the wildlife, the advantage of a private reserve is that there will be less traffic and less visitors; vehicles are usually restricted to those belonging to the reserve. Reserves will run their own game drives using professional drivers and tracker/guides who'll use off-road vehicles. In a private reserve vehicles are usually allowed off-road, making it possible to track animals across the reserve and get a lot closer to them. Night drives are also possible. The term 'safari' comes from a Swahili word meaning 'long journey' and in times gone by visitors to Africa traditionally used the name for game hunting trips. Times have changed and today's visitors are more likely to be observing and photographing the wildlife and will usually have an eye to conserving and protecting it. Africa is the traditional home of the safari and its incredible diversity of landscape, wildlife, culture and activity can make safari planning quite a daunting task. To help start the process off, the following Travel-Quest article compares some of the different styles. • Lodge-based guided safaris, perhaps the most recognisable and common type of trip. These are ideal for first time visitors and are the most usual type of safari package offered by the main-stream tour operators (as well as being available from almost all the smaller and more specialist providers too of course!). They feature game drives with a knowledgeable driver/guide and accommodation in purpose built safari lodges which can range from rustic and basic, to top-end luxury. • Camping and mobile safaris are probably the second most popular type of trip, enabling guests to get right to the heart of the action. As with the lodges they come in a range of grades, from simple bush camps with small tents and possibly guest participation in camp chores, to luxury camps with staff on hand and an amazing range of facilities. Some camps are permanent or semi-permanent, while others are moved from place to place throughout the trip; the game viewing is usually lead by a professional guide. • Luxury safaris, many operators specialise in turning the safari into a luxury experience and some safari lodges, particularly those on private game reserves, will offer luxury accommodation, top class service and the sort of facilities you'd expect from a 5-star hotel. Even some of the luxury camping safaris offer things like fine food, waiters and full bathrooms – some even include swimming pools, air-conditioning and private plunge pools! The travel-quest animal, wildlife and safari holidays section is for listing holidays, vacations and tours which focus on wildlife viewing, game drives and safaris. This is a general section for all types of wildlife spotting trips worldwide; from traditional African safaris, to game viewing in Asia, South America, the Arctic, Antarctic and Worldwide as well as UK based wildlife tours. This is also the main section for standard, guided motor driven safaris and wildlife tours, for alternative styles and for holidays that focus on a particular species, see the full wildlife and nature index.